The IFPI revealed their Top 10 Global Recording Artist Chart today, naming Drake as the world’s best-selling artist of 2018. 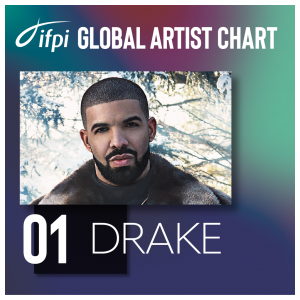 The Toronto hip hop sensation is the sixth recipient of the IFPI Global Recording Artist Award, and the only artist to ever hold this title multiple times, with his first being in 2016. Drake earned the top spot following the global success of his fifth album Scorpion, which was officially certified Double Platinum in Canada in July 2018, and includes the hits “God’s Plan” (8x Platinum), “In My Feelings (5x Platinum), “Nice For What” (4x Platinum). The 25-track double album broke multiple global records in its first week of release, including being the first album to reach one billion streams across all platforms worldwide. Drake is the only Canadian artist to receive the prestigious award, with previous recipients including One Direction (2013), Taylor Swift (2014), Adele (2015), and Ed Sheeran (2017), who remains on this year’s list at number 3. The full Top 10 list, which was counted down by the IFPI on Twitter, is now available below. Today, IFPI released its 2018 Music Consumer Insight Report, an in-depth study of global music listening habits across 20 of the world’s largest music markets, including Canada, among music consumers aged 16-64. One of the key highlights from the report is the ubiquity of on-demand streaming. 86% of consumers globally are listening to music through an audio or video on-demand service. 56% of listeners in Canada engage with music through on-demand audio services, just slightly below the global average of 61%. Within this high usage of on-demand streaming though, it is user-upload services that continue to dominate consumption. The report notes that globally, 47% of time spent listening to on-demand music is on YouTube, compared to 28% on paid audio streaming services and 20% on free audio streaming. Music piracy also remains a significant issue, as 38% of music consumers reported obtaining music through methods that infringe copyright. 32% of consumers report obtaining music through stream ripping, making it the most dominant form of copyright infringement. Recent votes in the United States Senate and European Parliament have added even more urgency for Canadian policymakers to take similar action. Music Canada remains committed to working with the federal government to address the challenges hindering the proper functioning of our music marketplace, and to close the Value Gap in Canada. Entertainment lawyers have always played a crucial role in the success of their artist clients. But during Midem 2018, Miranda Mulholland urged them to take complimentary steps to empower artists and leverage their network to be connectors, helping to introduce, start discussions, and activate their artist clients. Mulholland was the keynote speaker at a June 6 event hosted by Music Canada and the International Association of Entertainment Lawyers (IAEL) in Cannes, France. 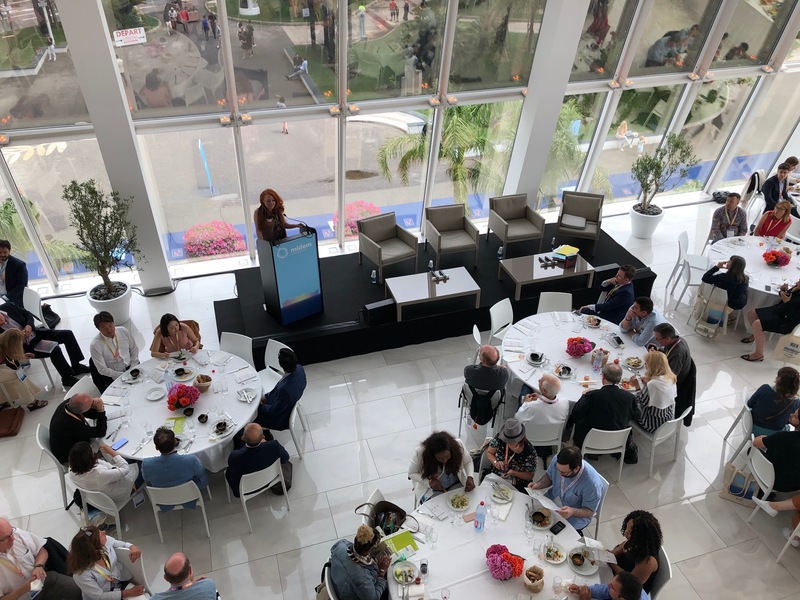 The Value Gap theme flowed through both this event and the launch of IAEL’s new book, Finding the Value in the Gap, later the same day. Music Canada’s President and CEO Graham Henderson introduced Miranda and shared some opening remarks about Music Canada’s report The Value Gap: Its Origins, Impacts and a Made-In-Canada Approach and thoughts on the vital role of artist advocates.
.@GFHenderson says "Artist advocacy carries a special power – it offers a window into the lives of the people whom the #ValueGap affects the most, for those with the ability to make change happen." Two representatives from IAEL, including President Jeff Liebenson and Anne-Marie Pecoraro, as well as Lodovico Benvenuti, Director of IFPI’s European Office, joined Mulholland for a panel discussion following her keynote. 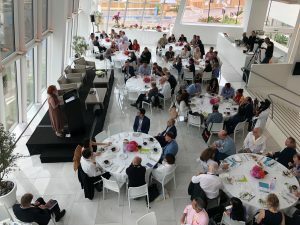 In addition to discussing the IAEL’s brand new publication Finding the Value in the Gap, the international experts leading the charge to address the Value Gap in multiple territories discussed how artists have been instrumental in their campaigns, including a letter to European Commission President Jean-Claude Juncker. 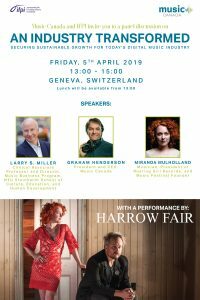 The letter was originally signed by more than 1,000 musicians and urges the Commission to address misapplied safe harbour provisions at the heart of the Value Gap to secure a sustainable and thriving music sector for Europe. Similarly, in Canada, more than 3,650 Canadian artists and creators have now signed the Focus On Creators letter to Heritage Minister Mélanie Joly calling on the government to put creators at the heart of future policy. 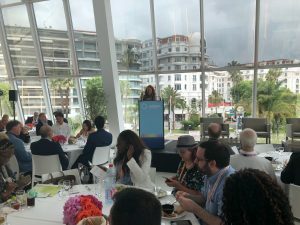 Guests at the Midem event included influential Canadian and international delegates, as well as members of the legal community, media outlets and European leaders in addressing the Value Gap. You can watch the full keynote and panel discussion below. Below is a selection of photos from the event and more information on Finding the Value in the Gap will be available on the IAEL website. 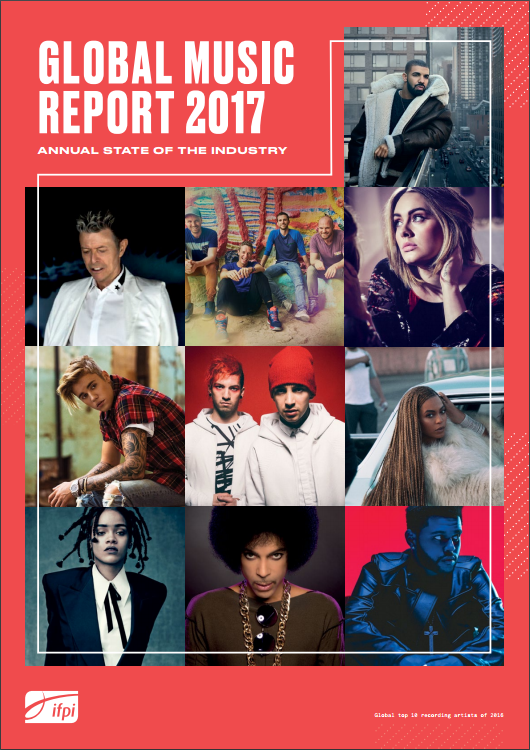 IFPI today released its anticipated 2018 Global Music Report, providing a state-of-the-industry guide to the top global markets and highlighting industry-wide trends. While Canada dropped from the sixth to seventh largest music market in the world, the domestic music industry can be encouraged by marked growth in subscription audio streaming, which grew in trade value from USD $95.34 million in 2016 to USD $160.9 million in 2017. This trend has contributed to the first three consecutive years of growth following 15 years of revenue decline. In Canada, ad-supported streaming declined slightly in 2017, representing USD $16.24 million in trade value, compared to USD $16.59 million in 2016. Video streams represented USD $23.32 million in trade value in 2017, rising from USD $21.56 million in 2016. The total trade value for all types of streaming rose from USD $133.5 million in 2016 to USD $200.4 million in 2017, a 50% increase. This is similar to the global trend where overall streaming revenues grew by 41.1%. “I’m encouraged by the consecutive years of growth we’re witnessing. But as streaming continues its rise, it’s more important than ever that this business model supports the people making the music,” says Graham Henderson, President and CEO of Music Canada. 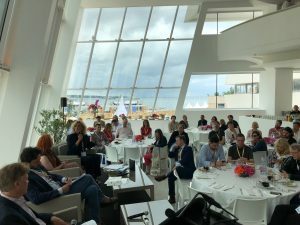 Frances Moore, Chief Executive of IFPI, also pointed to addressing the Value Gap as a top priority. Music Canada’s 2017 report, The Value Gap: Its Origins, Impacts and a Made-In-Canada Approach, proposes a range of practical, forward-looking solutions tailored to Canada’s marketplace, institutions and legal framework. The IFPI revealed their Top 10 Global Recording Artist Chart today, naming Ed Sheeran as the world’s best-selling artist of 2017. 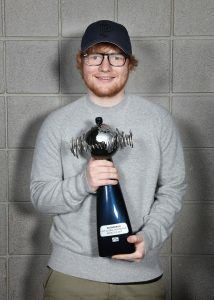 Sheeran is the fifth recipient of the IFPI Global Recording Artist Award, which recognizes an artist’s international success across physical and digital formats. Sheeran earned the top spot due to his worldwide success of his album ÷ (Divide) and its multiple hit singles including Shape of You, Castle On The Hill, and Galway Girl. The best-selling album topped the charts in 31 countries and was certified multi-Platinum in 34 markets, including Canada, where it was certified Six Times Platinum. Sheeran also had the world’s best-selling single, as Shape of You topped the charts in 25 countries, and was certified multi-Platinum in 24 markets, including Canada, where it reached Diamond status. That marks the first time that the IFPI Global Recording Artist of the Year has had both the best-selling album and single of the year. 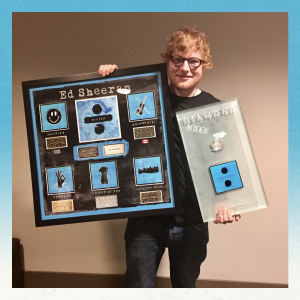 Ed Sheeran presented with multiple award plaques for the album and its singles by Warner Music Canada. Drake, who received the Global Artist Award in 2016, placed second on the chart this year. His mix tape More Life broke streaming records, including most first-day streams for an album on Spotify, and most streams in a 24 hour period on Apple Music. Fellow Canadian The Weeknd placed 7th on the chart this year, climbing up from the 10th position on the chart in 2016. Both Drake and The Weeknd have now placed in the Top 10 on this chart for three consecutive years. 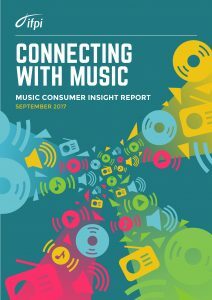 Today, IFPI released Connecting With Music, its 2017 consumer insight report with information from 13 of the world’s leading music markets. The report was created with data commissioned from Ipsos Connect, and provides a snapshot of the way music fans around the globe are engaging with recorded music. In 2017, Canada became the sixth largest recorded music market in the world, surpassing Australia, and Connecting With Music offers insight on how Canadian music fans’ listening habits compare with other markets and global figures. Globally, 85% of 13-15-year-olds are streaming music. In Canada, streaming is even more popular among young people, with 89% of 13-15-year-olds reporting streaming music via both audio and video services. 99% of Canadians aged 16-24 identified as licensed music consumers, similar to the global average of 98%. In Canada, music fans on average access four different licensed ways of listening to music, which is the same as the global average. The four consumption models are: purchase of physical product or paid downloads, audio streaming services for music, video streaming services for music, and listening to music on broadcast or internet radio. Almost all Canadian internet users (99%) reported listening to licensed music, which is slightly higher than the global average of 96%. Generally, Canadians are a little less engaged in licensed audio streaming (39%) than the average of global music fans (45%), and 46% of Canadians reported having paid for music in the last six months, compared to 50% globally. Overall, Canadians are using smartphones to listen to music a little less than the global average. Globally, 90% of paid audio streamers are using a smartphone to listen, compared to 81% of Canadian respondents. That gap reduces when considering the listening habits of 16-24-year-olds, 84% of which listen via smartphones globally, compared to 81% of Canadians in the same age bracket. While the percentage of Canadians accessing unlicensed music (33%) was lower than the global average (40%), piracy remains a significant concern in Canada, with 27% of Canadians reporting stream ripping versus the global average of 35%. Stream ripping is considerably more prevalent among young people, with 43% of Canadians aged 16-24 reporting stream ripping, and a global average of 53% in the same age bracket. Of those who reported downloading unlicensed music, 54% of global respondents reported also using Google to find it. That figure for Canadian respondents is 46%. Though video streaming services like YouTube are the most popular form of on-demand music streaming, the revenue returned to music creators from plays on these services is much lower than other licensed music services. 86% of Canadian YouTube users, and 85% of global users reported using the service for music in the past month, translating globally to 1.3 billion users. One quarter of Canadians surveyed said that they do not pay for a streaming subscription because “anything I want to listen to is on YouTube,” confirming that the Value Gap is very much an issue here in Canada. IFPI, in conjunction with the RIAA and BPI, announced today that following successful legal action from record companies in the United Kingdom and the United States, the world’s largest music stream ripping website will shut down. YouTube-mp3.org, a Germany-based site with 60 million visitors a month, facilitated the ripping of downloadable music files from online audio-visual works. Sites like YouTube-mp3.org typically extract large profits from advertising while delivering nothing to music makers. IFPI estimates the site generated “hundreds of thousands of dollars in advertising revenue per month, often from major brands.” In addition to agreeing to cease operations, the site’s operator has agreed to not infringe the rights of artists and labels in the future. Piracy, and particularly stream ripping, remains a significant concern in Canada. 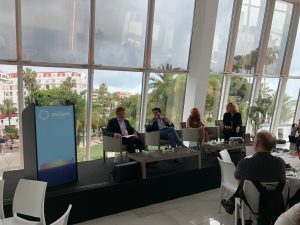 A survey commissioned by IFPI in 2016 found that 27% of Canadian respondents reported pirating music, and 22% reported doing so via stream ripping. The age group most likely to use stream ripping sites was 16-24 year-olds, with 48% reporting doing so in the past year. While Youtube-mp3.org was the largest stream ripping site, the industry hope is that this legal action will send a clear message to other sites still in operation that they are breaking the law, and will face similar action if they do not shut down. Toronto, ON – April 25, 2017: Today the International Federation for the Phonographic Industry (IFPI) released its Global Music Report 2017, which shows Canada is now the sixth largest recorded music market on the planet, surpassing Australia. 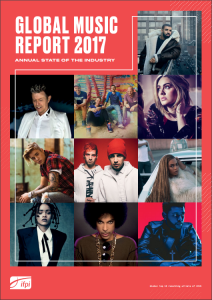 The annual Global Music Report compiles revenues from physical and digital sales, streaming, synchronization and performance rights, to provide a ‘state of the industry’ snapshot while highlighting innovation and investment within the industry as it progresses further into the digital age. 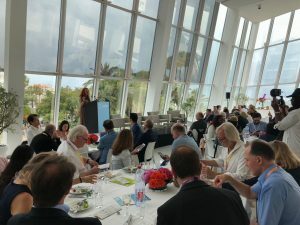 Though music consumption around the world continues to rise to never-before-seen levels, the “value gap” remains a significant problem, as the revenues returned to music creators have not kept pace with music consumption. Canada’s ascension to the sixth largest market follows IFPI’s announcement in February that Drake was named Global Recording Artist of 2016. Justin Bieber and The Weeknd took the number five and number ten spots, respectively, as Canadians occupied three of the top 10 positions. Today’s Global Music Report 2017 shows that albums by Canadian artists performed very well at home in 2016, with six of the top ten album spots occupied by Canadian artists, including Drake’s Views at number one. Other Canadians in the top albums chart include Céline Dion, Leonard Cohen, Justin Bieber, The Weeknd, and The Tragically Hip.